Some areas of the old treaty ports tried to recreate the look and feel of the metropolitan country – as can be seen with the beach promenade of Wilhelmstraße in the former German-controlled port of Tsingtao. 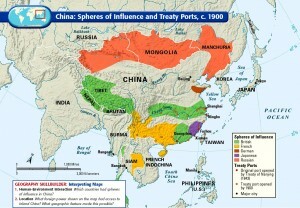 The port was seized by Japan in 1917, returned to China in 1922, but re turned to Japanese control in 1937. In 1945 it would later play an im portant role in Nationalist Chinese efforts to retake the north of China. A treaty port opened by the British in 1862, Chefoo (now Yantai) enjoyed a strategic location on the Shantung peninsula and was a summer station for the U.S. Asiatic fleet until the outbreak of war. 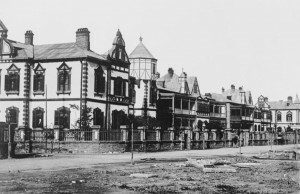 Located here was a well-known boarding school (pictured above) for the children of missionaries, diplomats and business people. They were interned by the Japanese in 1943. 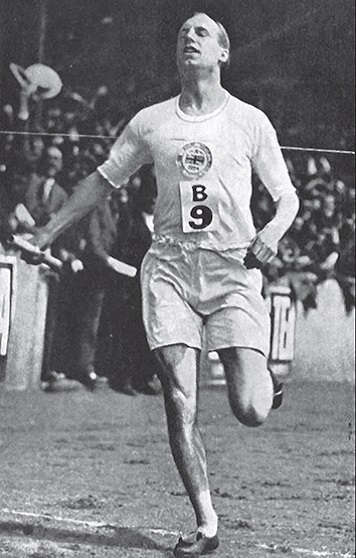 Held at the same camp and dying just before the war’s end was the Scottish missionary, Eric Liddell. He is better known as one of the main characters in the film Chariots of Fire, the religious Olympic athlete who refused to race in the 100 metres heats on a Sunday but went on to win the 400 meters. It is somewhat ironic that France never regained postwar control over KouangTchéou-Wan (Kwang-Chou-Wan), now known as Guangzhouwan. 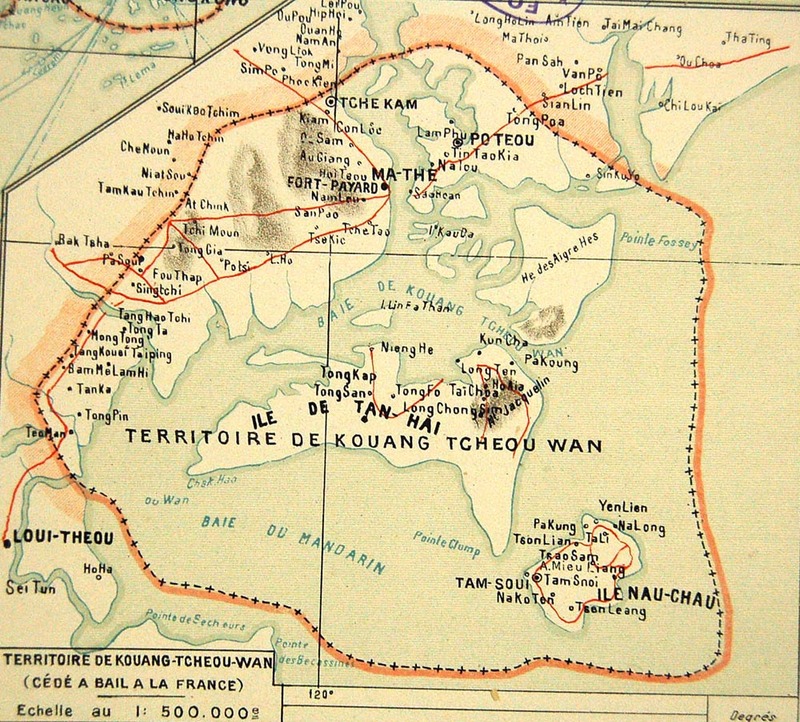 France leased the territory on the Luichow Peninsula in southern Canton (Guangdong) province through the Sino–French Treaty of 15 November 1899. In 1945, Chinese Nationalist forces accepted the surrender of Japanese troops in Kouang-TchéouWan and, as with numerous other treaty ports, leased territories and concessions where Britain, France, the United States and several other countries had specific rights, Chiang Kai-shek had no intention of facilitating the status quo ante. Japan’s intentions were also clear. On 15–16 February 1943, some 500–600 Japanese invaded Kouang-Tchéou-Wan with its strategic harbour and protected bay astride the sea route between Taiwan, Hainan and French Indochina, albeit leaving Vichy France in charge. This action prompted the Chinese Ministry of Foreign Affairs to lodge a protest to the Free French Legation in Chungking over violation of the Sino–French Treaty, notably the clause stipulating that Chinese sovereignty over the territory was not affected by the lease and that China was no longer bound by that Treaty. 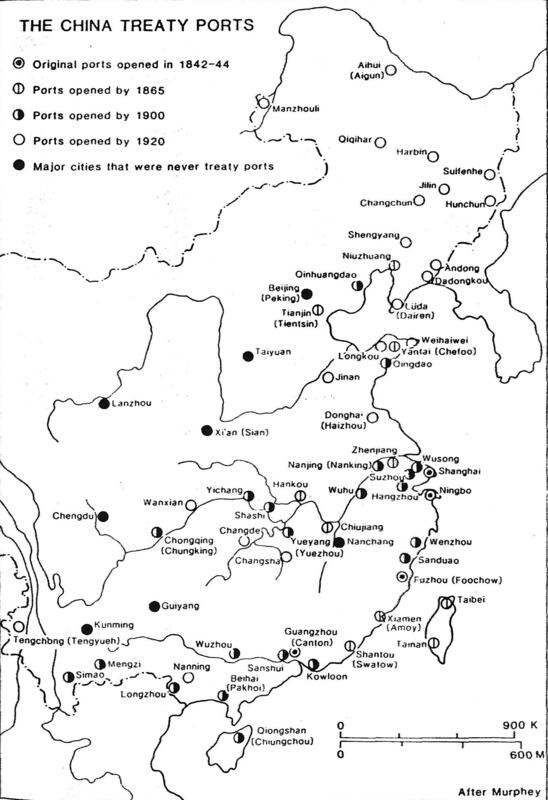 On this occasion, and contrary to Chungking’s interests, Tokyo exhorted Vichy to give up all concessions and extraterritorial rights in China, including interests in Shanghai, Amoy and the Legation Quarter in Peiping, citing pressure from the puppet government in Nanking. Needless to say, the Free French government of Charles de Gaulle did not recognize this capitulation agreement. In any case, in the wake of Pearl Harbor, Japanese occupation forces virtually moved in upon remaining foreign concessions in China. Even Japan’s Axis partners were not spared, with Mussolini’s Italy pressured over its concession in Tienstin. On 10 March 1945, simultaneous with Operation Meigo in Indochina and action against the French concession in Shanghai, Japanese troops invaded and occupied the French administrative center of Fort Bayard (Zhanjiang), disarming the French military but allowing most French civilians to remain free. On 18 July 1945, taking actions into their own hands, local pro-Nanking government forces effected what French intelligence described as a ‘virtual preemptive coup’ in favour of the puppet regime. With two or three exceptions, all French nationals were arrested and interned in the Banque de l’Indo-chine. Held incommunicado, only their children were allowed outside. Food was rough riz rouge. To the surprise of the French, local strongman Tsang Hoc-tam then emerged as Kouang-Tchéou-Wan’s puppet administrator. Honoured with a Légion d’Honneur, he had hitherto maintained excellent relations with the Vichy regime. Even following the Japanese coup of 10 March, he was regarded as Kouang-Tchéou-Wan’s most prominent Chinese individual. Commanding enormous wealth derived from his ownership of lucrative opium and gaming monopolies, Tsang was also known to have paid off the Nanking puppet government and local Japanese gendarmerie, as well as Chungking agents. He kept law and order in Kouang-Tchéou-Wan with his own private army, also suggesting the emergence of a local strongman in the absence of credible overarching authority. 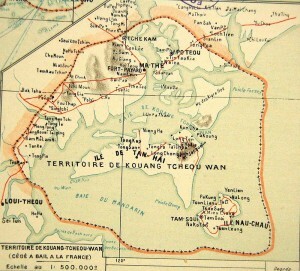 With the Japanese still in control in Kouang-Tchéou-Wan, representatives of the Provisional French Government and the Chinese Nationalist government, meeting in Chungking on 18 August 1945, signed a retrocession agreement sealing the fate of the territory. Beginning with an exchange of letters on 13 May 1945, it was actually the Chinese side that accepted the French proposals on the basis that retrocession was an exercise of diplomacy and not force. Article I declared the November 1899 Convention to be abrogated and that all rights accorded France by the convention would expire. 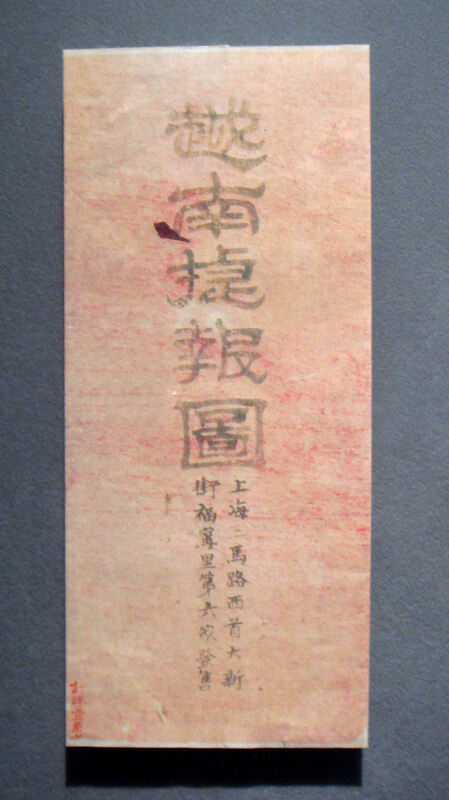 Article II set forth the modalities of the return of the territory to Chinese sovereignty (along with all buildings and archives including land documents). Under Article V, China agreed to offer a 30-year renewable lease to France of its official residence to serve as the seat of a future French consulate, if the offer was taken up within a year. (In the event, France did not exercise this right.) Article VI indicated that the convention would take effect immediately. At Chinese insistence, a seventh article was added stipulating that the Treaty be established in both French and Chinese languages with the two versions having equal validity. 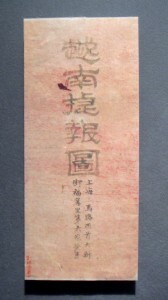 With the departure of Japanese forces in late September, representatives of the French and Nationalist Chinese governments proceeded with the transfer of authority. The tricolor was lowered for the last time on 20 November 1945. 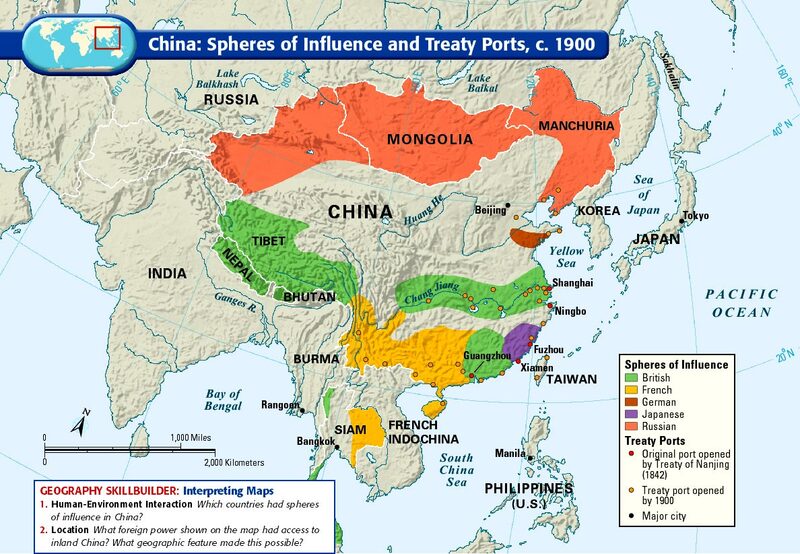 With the obvious exception of Hong Kong (reoccupied by the British) and the exceptional case of Portuguese Macao, the retrocession of all treaty ports and concessions followed a similar process. Although the British and Americans had entered into wartime agreements with the Chiang Kai-shek government in February 1943 as to the relinquishment of extra-territorial rights in China, and both sides worked together to foster a smooth transition, the changes were unenforceable until the end of the war. 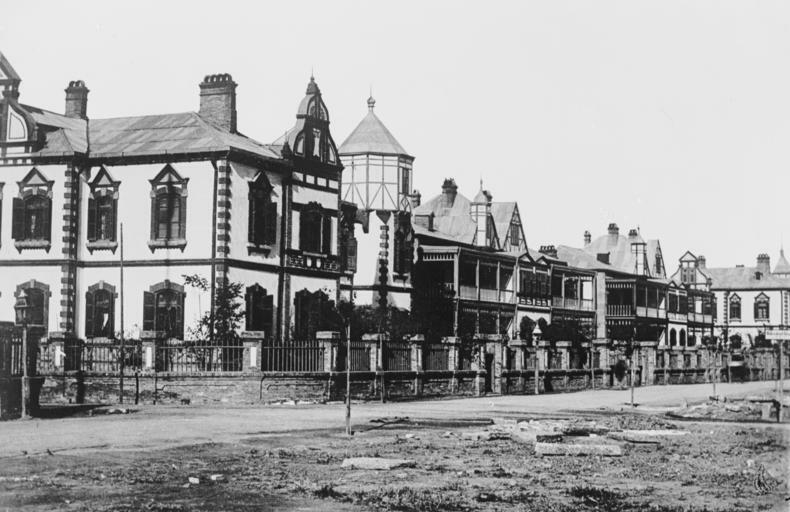 By 1946, UK, French and U.S. interests in the Shanghai International Settlement would be abolished. In turn, Britain lost its concessions in Canton (Shameen), Amoy and Tientsin, as did Italy in Tientsin in 1947. 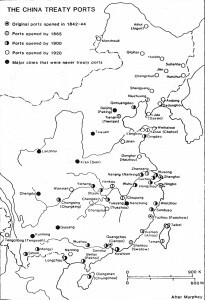 The Japanese concessions in Tientsin, Hankow and elsewhere in China also ceased to exist with the capitulation in 1945. Under the 28 February 1946 Sino–French Accords, France formally relinquished extraterritorial rights in Shanghai, Tientsin, Hangkou and Shameen, and pledged that Haiphong would be a free port for Chinese. The conciliatory mood on the part of France in these negotiations can in large part be explained in the context of discussions with the fledgling Democratic Republic of Vietnam, and the pressing question of the exit of Chinese Nationalist occupation forces from Indochina.